skibotn 15L Pack is rated 4.8 out of 5 by 6. Fästet för knä- och armbågsskydd kan döljas när det inte används. Ryggsäcken levereras med ett stort D3O-ryggskydd som skyddar dig vid större fall. Det är mjukt tills det komprimeras, då blir det hårt. Lätt att ta av. 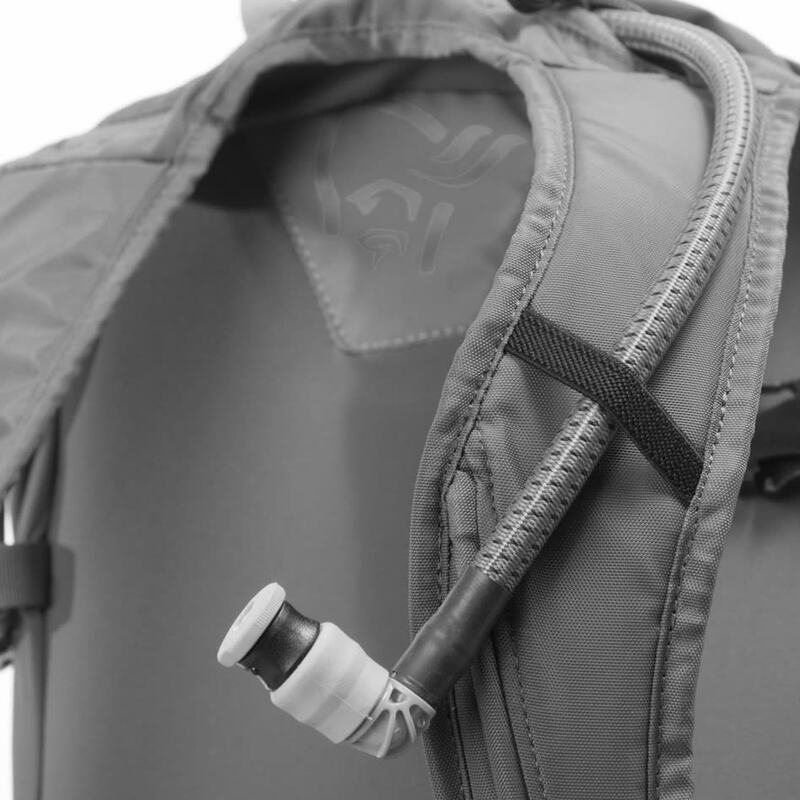 Rated 5 out of 5 by Mauki from Great features I Love this backpack for mountain biking. Perfekt to store your helmet while riding uphill and all of your stuff you need for a one day tour. Rated 5 out of 5 by Jørgen J from Great fit, stability and features I love this pack because it really stays thought on my back, and does not bounce a round when I bike. I also love the size, I can bring all the needed gear/cloths and a camera. I specially like the side pockets that can be accessed with out taking off the pack. There is pockets to organize all my gear and good venting harness. It is nice the the integrated but removable back protector. Rated 5 out of 5 by nalexpalex from A serious pack with all features needed I have used this backpack for 20+ mountain biking days in hot and cold weather. The shoulder straps are very comfortable and provide rather good ventilation. The same is valid for the back. The hip belt goes really around your body and provides good stability, especially in downhills. 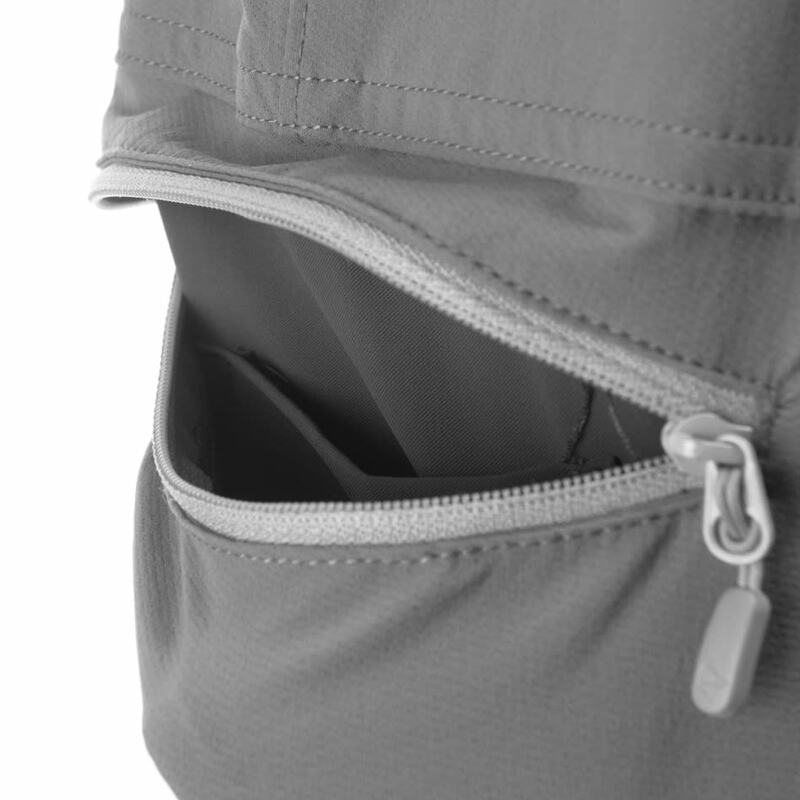 The two side pockets of the hip belt are roomy enough to carry a camera, a phone, and snacks. The tools compartment is very well organized, so you don't have stuff moving around with well-thought pockets and attachments. All details are to be found on this pack, from knee/elbow pads attachment that you can hide neatly when not in use, to a big goggle pocket that's not too exposed, without forgetting a clean design and a big front flap to fit your helmet during those long climbs... And safety is not forgotten either: the pack comes with a great D3O back protector to keep you safe in heavier falls! You can easily remove the back protector when not needed.